This isn’t strictly speaking to do with sport – but it is to do with what might very well have been. In 1998, my cousin by marriage Walter Murch was asked to help in the restoration of the first synchronized sound film. 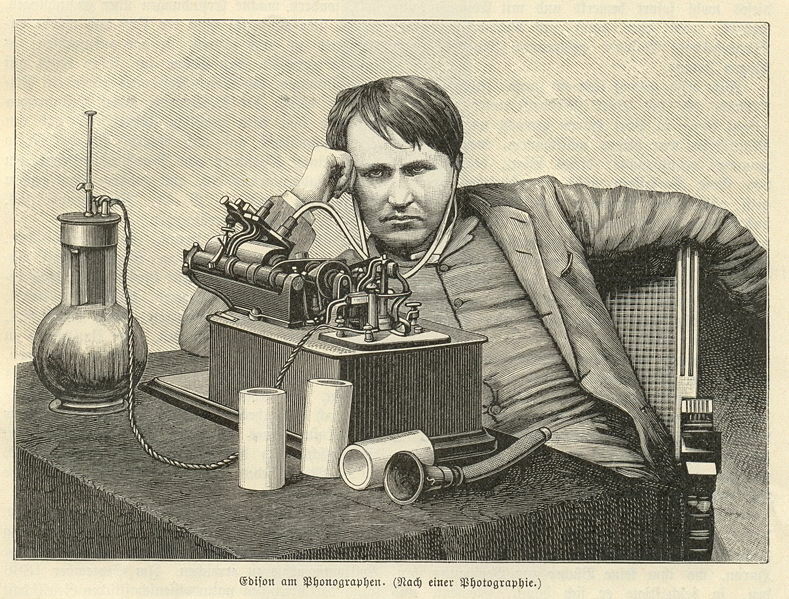 This was a product of Thomas Edison’s studio, as you might expect, and you can read Murch’s brief discussion of it here. My first thought was “sports commentary.” The first examples of this are American, too, and date from the 1920s. BBC Radio commentary began with Arsenal v Sheffield Wednesday in January 1927. But the Dickson film raises the tantalizing possibility that some wild genius could have done it earlier, and with vision. However, although the Mitchell and Kenyon films demonstrate beyond all doubt that football and sport offered possibilities for enthusiasts of new Edwardian technology, it’s not so much disappointing that no one thought to gramophone a pre-War Merseyside derby as reassuring that they thought to do so as early as 1927. Because although a form of synchronised film was possible before 1900, lengthy sound recording was not. Even had it been, amplification capable of delivering the sound effectively to the large paying audiences who made Mitchell and Kenyon’s work viable did not come of age until the late 1920s. By then, radio, which in its most basic crystal set form didn’t need powered amplification at all, had circumvented the problem. Boxing matches had been relayed by telephone even earlier – the first sports commentary consisted of Westinghouse’s Howard Arlin relaying to listeners just such a phone call.